The current educational system of rote learning is killing the very possibilities of learning science and repelling the children to take the career in science and math. This educational system is designed at the time of industrial revolution and now the education is more like a burden. Our motto is to make education an effortless process by promoting fun and application-based learning. We make the experience of learning simple, playful and accessible to everyone, especially to the underprivileged. 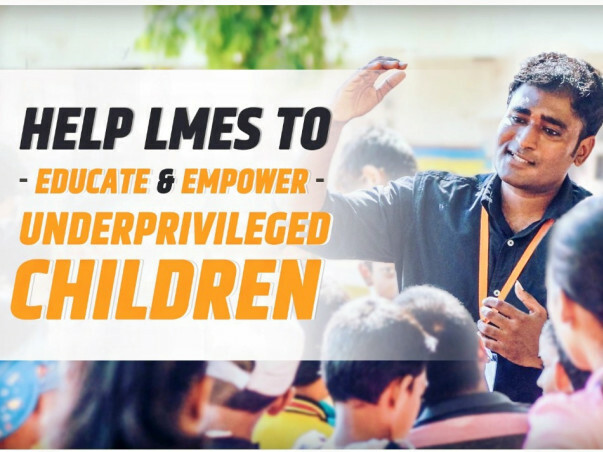 LMES foundation is the 1st EduTech NGO in India started in 2014. It is fundamentally founded to deliver education in a simple format. Our founder posted educational videos on YouTube with the tagline “Let’s Make Engineering Simple” (LMES) based on application-oriented perspective and it went viral. In the time-span of 4 years, the LMES videos have been viewed more than 30 million times and have a total of a million followers on both Facebook and YouTube. The response we got was unexpectedly overwhelming. We realized that our approach can bring the change in the system and we are intending to reach as many underprivileged students as possible. We have laid down plans to do more quality application-oriented and curriculum-based educational videos on a large scale to provide contents to underprivileged children without compromising on quality. We will be working on explaining science and math concepts from class 6 to 12 and eventually progress towards covering engineering and arts subjects. The content will be provided to government schools as part of their curriculum (or co-curriculum) and will be implementing on other under-privileged institutions. 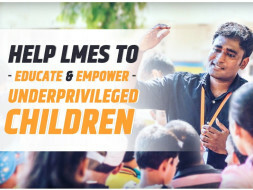 As a lone foundation with limited resources, we are powerless against the humongous educational system that is already in place, but with enough people, we can bring the change. We want a country with more innovators and entrepreneurs than factory workers, a country where children look forward to school than feeling enforced. Any donations or participation are welcomed for the attitudinal change towards education. This foundation will be open to any kind of queries on donation or use of resources of any kind. LMES had produced more than 40 videos based on Science and Mathematics from September 2019 to February 2019, we are planning to produce 4 videos per week as road map plan is concerned. Thank you all for your extended support. keep supporting us.